I so wished we had a proper bassinet for our last born, he had some sort of inbuilt infant radar that triggered panic alarms when I ventured more than 10 metres from him, demanding he be settled as close to me as possible. Our pram bassinet simply would not suffice for this indulged fusspot of a third baby – I would have gone for the light and airy Lotus Bassinet in a heartbeat. 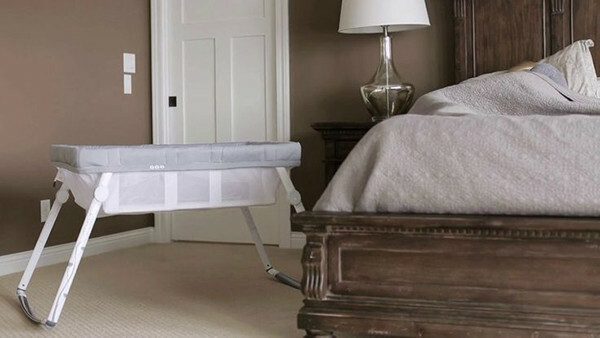 The Lotus Bassinet is an infant’s and parent’s dream come true. Mesh sides for optimal breathability, right down to the mattress base. These ClearView mesh sides also offer great visibility – you can see bub stir when he starts to wake and he can see you, so if you have a little one like mine, he doesn’t think you’ve done a runner, abandoning him in favour of a shower or worse, to boil the kettle. Sitting at bed height, the Lotus Bassinet is fantastic for midnight feeding and comforting. 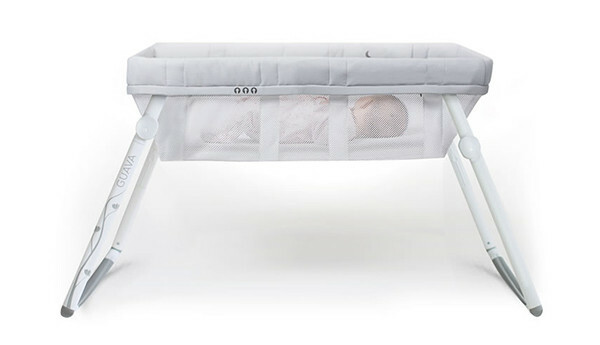 You can choose for the bassinet to rock gently or be stationary simply by rotating the base rockers and its lightweight build enables you to easily move it wherever you need it – next to your desk, the kitchen, next to your own bed. It’s so compact when folded and packed in its storage bag, it can be carried on your back, freeing up your hands to carry the baby. Perfect for taking on holidays or over to Nanna’s! The Lotus Bassinet is priced US$199.95 at Guava Family. Unfortunately shipping to Australia is currently not available so a re-shipper will be required.